Graphic design is the combination of shapes, colors, typefaces, images and words that cause you to react or feel something. Graphic design plays an important role in the process of producing the kind of quality printed materials that your company needs to be successful. 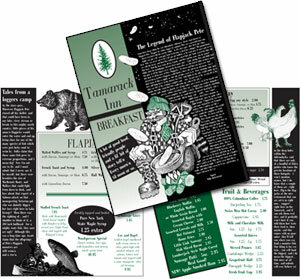 Through graphic design, your business becomes ubiquitous in all the printed materials you send out. G&S Printing will help you produce the kind of visually-stunning results that create a professional image for your business. G&S Printing offers Custom Designed Logos, Artwork, Brochures and Forms. Call G&S Printing today – 518-232-2465 - for details on all our Graphic Art Design applications – and let us help you build the image you need to represent your business and win customers!